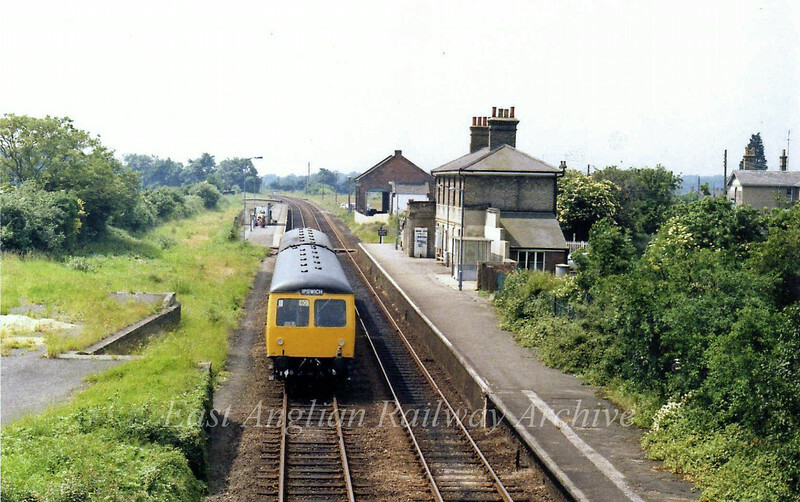 View from Wickham Market Bridge on 28th June 1979. The 1048 Lowestoft to Ipswich is arriving at the now abandoned Up platform. The disused goods shed can be seen in the background.